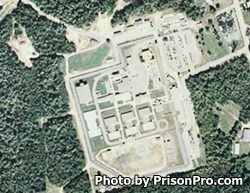 Altona Correctional Facility is located in Clinton County New York. It is a medium security prison that houses adult males. Offenders housed here can participate in vocational training in custodial and building maintenance, and drafting. This facility also has a group of inmates responsible for waste processing, helping to save thousands of dollars each year by composting and recycling items from the waste of the prison. Inmates at Altona Correctional Facility can also receive alcohol and substance abuse treatment. Furthermore, inmates housed here can receive family service programs that teach parental education and give individual and family counseling. Visiting is from 8:15am-2:30pm on Saturdays, Sundays, and State recognized Holidays. Processing for visitation ends at 2pm so you must arrive prior to 2pm. There are no limits to the number of visits an inmate can receive, and up to four adults and two children are allowed to visit in one session.